Are You Ready to Get Serious About Learning Drums? Have you grown frustrated with trying to learn from books, software, or cheap introductory videos with little useful content? Learn & Master Drums is by far the world’s most complete video instruction course for learning to play the drums. Designed to guide you from the very basics of setting up the drumset to expert playing techniques,Learn & Master Drums is the only instructional tool you’ll need — even if you’re sitting down to the drumset for the very first time. Learn & Master Drums is designed primarily for young adults on. Unlike some courses or private instruction, you’ll begin playing popular songs right away and then develop your skills with a simple step-by-step progression. Learn & Master Drums consists of 12 DVDs, 5 play-along CDs and a 100+ pagelesson book, all crammed with in-depth instruction, clear demonstrations, and popular songs you already know. 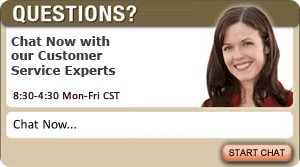 You also get full access to our online resource center where Dann Sherrill will answer your questions, where you can post your profile, track your progress, chat with other students, and download all kinds of extra drums resources. 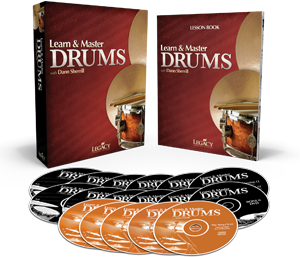 The twelve DVDs included in Learn & Master Drums are the heart of the course. Each lesson is clearly explained and demonstrated, so you know exactly what and how to practice. Because the instruction is sequential, you’ll feel like you’re learning and progressing on the drumset with every lesson. The first half of the course builds on previous lessons, providing you with the foundational knowledge of the drums you need. Then the second half offers various drumming styles and techniques of all skill levels, so you can choose your individual interests to focus your practice efforts. And because it's from Legacy Learning Systems, you know the training quality is of the highest caliber. Learn and Master Drums covers everything from the very basics to the most advanced techniques. There's no way we could list everything, but here are a few of the things you will learn and master! Most students quickly discover that the Play-Along CDs are their favorite part of the Learn & Master Drums course. These CDs allow you to practice your songs with an actual band—made with professional musicians in a studio. They’re designed to help you learn to accompany the band from the outset of your lessons! If you're an intermediate drummer, chances are you've learned to play the drums by picking up tidbits of information and instruction here and there on your own. You may have taken a few lessons. You may have read a few books or watched a few videos. You may or may not have learned to read music. "After already purchasing your other courses, I figured Learn & Master Drums would be a winner too. You guys didn't disappoint. The course is challenging but not overwhelming. And the fact that I have a professional teaching me in my home and ready on demand for when I'm ready, can't be beat. Going to school was a chore. But this type of learning is fun! Thanks Legacy."